They are extremely stable, puncture resistant and maintenance-free. Solid tyres have a high loading capacity and are extremely economical. Therefore, they are ideally suitable for forklift trucks, airport vehicles, heavy-duty transport vehicles, side-loading forklifts, platform trucks and other industrial vehicles. Especially at air and seaports, in logistic centres and industrial applications these tyres are in use. Industries, where a clean environment is important (e.g. food and pharmaceutical industries), profits from the non-marking version (Clean Solid tyres). These tyres are also very stable, puncture resistant and have a long service life. But additionally, they are especially designed for minimum floor marking in a clean industrial environment. We offer two construction types: Super-Elastic tyres and Press-on-Bands. 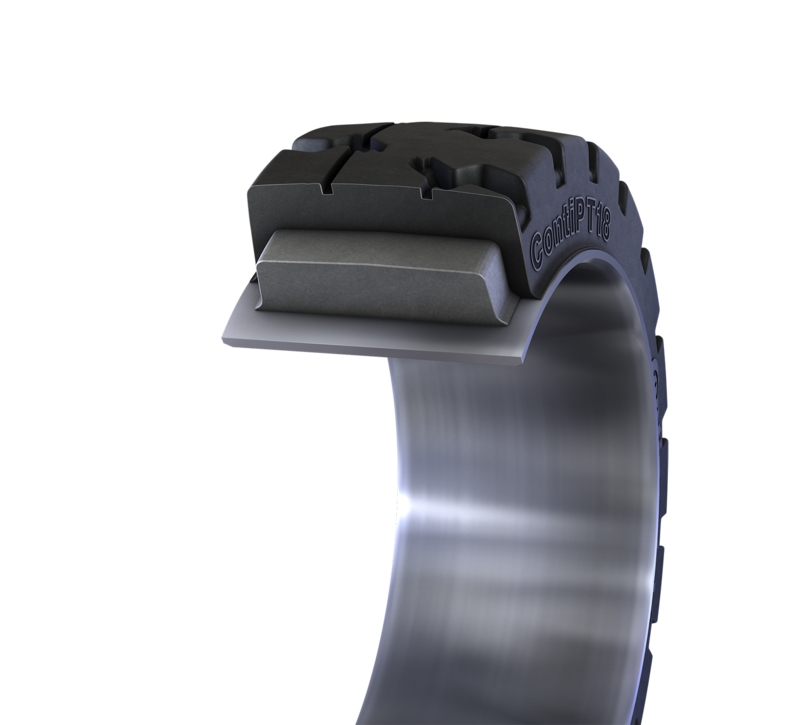 Continental Super Elastic (CSE) tyres are developed to fit on industrial pneumatic tyre rims. They consist of a tread with highly cut and wear resistant compound. The cushion compound with extreme low damping properties leads to low rolling resistance and low temperature generation. The base with embedded bead wires ensures optimum rim-fit; the sidewall is equipped with highly cut and wear resistant compound. With these properties CSE tyres fit particularly for forklifts (load and steering wheels) and short distance transportation. This is especially the case in areas with high cut potential where you will see that Continental Super Elastic tyres are built to last. These tyres consist of a steel ring with a vulcanized-on rubber cushion. Continental Elastic Press-on-Bands (POB) are available in two versions: POB with steel base, and POB with steel wire reinforcement. 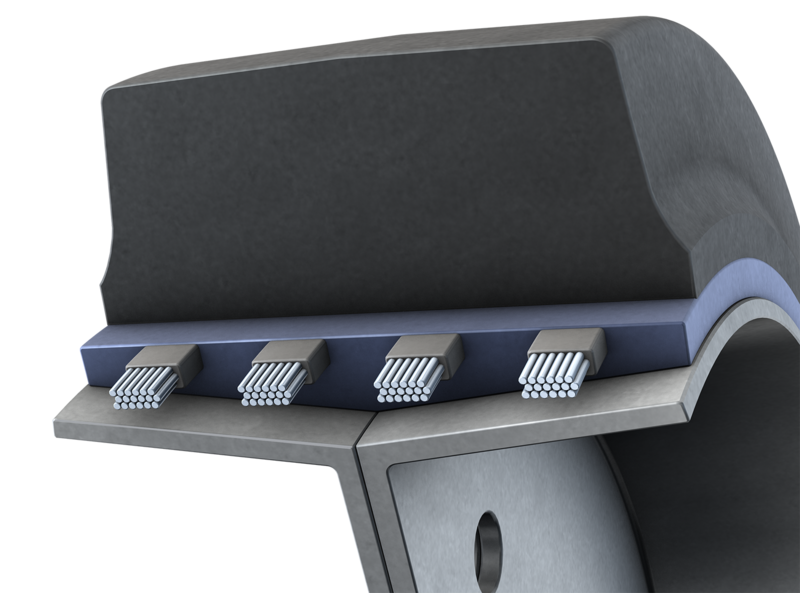 With our Elastic steel-based Press-on-Bands we offer the smallest possible sizes for ultra-heavy loads. These tyres consist of a steel ring with a vulcanised-on rubber cushion. This structure provides good heat dissipation (via the steel ring) and the best possible adhesion of rubber to steel. Even under full utilisation of their speed and load potential, Continental’s steal-based POBs have outstanding mileage performance. The powerful steel ring means easy fitting. 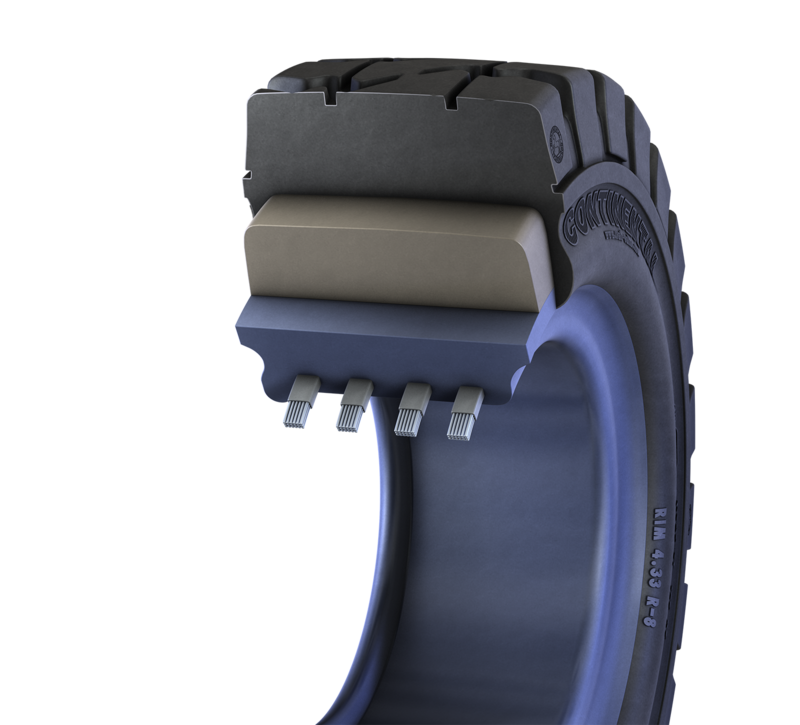 Moreover steal-based POBs offer true protection to the sidewalls and rim. Elastic Press-on-Bands with steel wire reinforcement have several wire cores. Elastic Press-on-Bands with steel wire reinforcement have several wire cores. These wires are embedded in a tyre base which is made of a special tough, hard rubber compound. This proven design permits remarkably high load capacities. In addition there are different base constructions of Continental POBs with steel wire reinforcement available: cylindrical, centre-split and offset-split. Summing up: Our highly damage-resistant and high load bearing Press-on-Bands are perfect suitable for forklifts in the paper industry, trailers in seaports and also in areas with high cut potential.